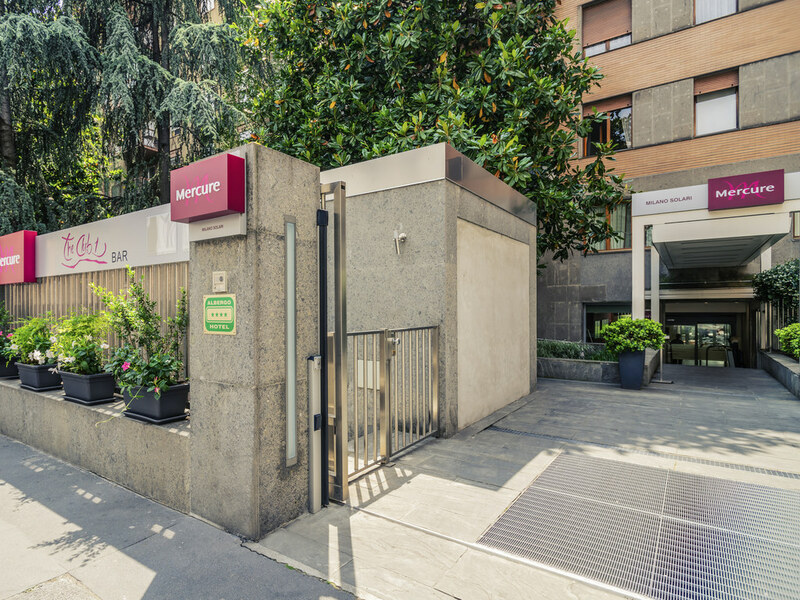 The Mercure Milano Solari is a stylish 4-star hotel in one of the trendiest districts in the capital of Lombardy, a short distance from the Navigli, Via Savona and Via Tortona, where you will find the most innovative designers and the most fashionable venues. Near the green metro line (the Sant'Agostino stop is just a few yards from the hotel), it offers fast connections to the city center. The hotel boasts 1 Superior Suite with private panoramic terrace, 11 Executive Rooms and 47 Standard Rooms. The Mercure Milano Solari is in the heart of one of Milan's trendiest districts, close to the Navigli canals, Via Tortona and Via Savona, where you will find the most innovative designers, showrooms of the biggest names in fashion and the hottest bars. Online check-in and fast check-out, free WIFI throughout the hotel, free Internet point in the lobby. The Club 1 bar is open 7 days a week from 7am until 2pm and from 6:30pm until 11:30pm. Parking is available in the outdoor parking garage (fee applies). 59 perfectly soundproofed contemporary rooms with autonomously controllable A/C and free WIFI. The crowning glory is the Privilege Suite on the 6th floor, which has a terrace with panoramic view and boasts the most modern and exclusive facilities. Relax and enjoy your favorite aperitif skillfully prepared by our barman in an elegant atmosphere with exemplary service. Our impressive wine list will delight even the most sophisticated palates.